I've been a knitter since 2004. I was hooked from the first stitch. 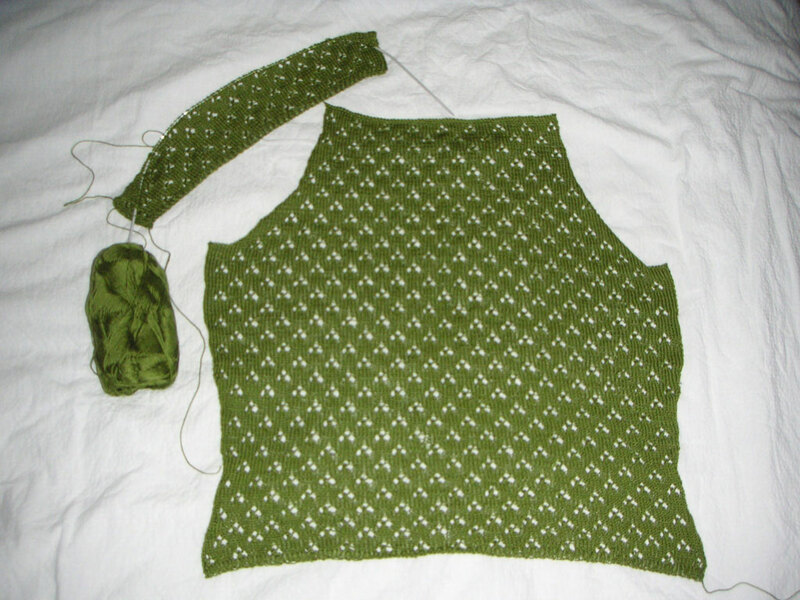 This is my blog on knitting and sewing. And any other craft I happen to take a liking to. 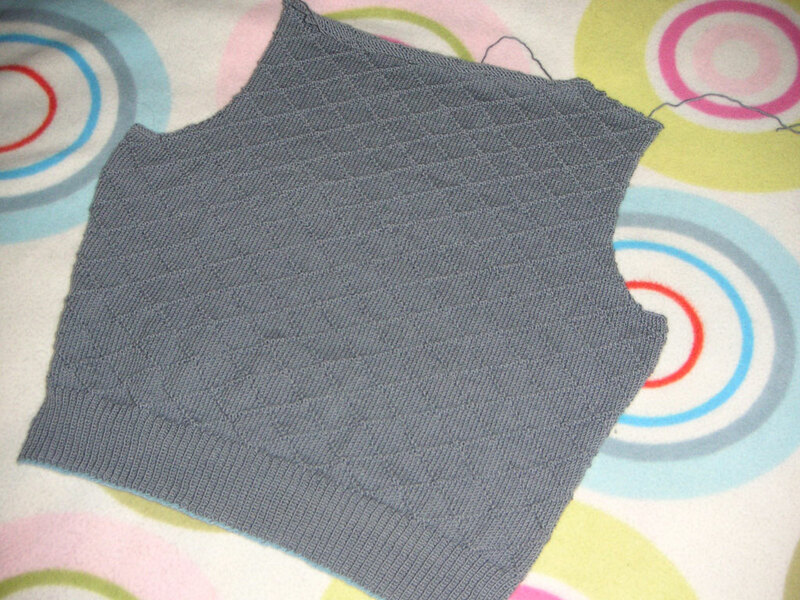 Looking through my FO's from 2006, it seems like I din't knit much. I did though, but several projects are still UFO's or frogged and forgotten. 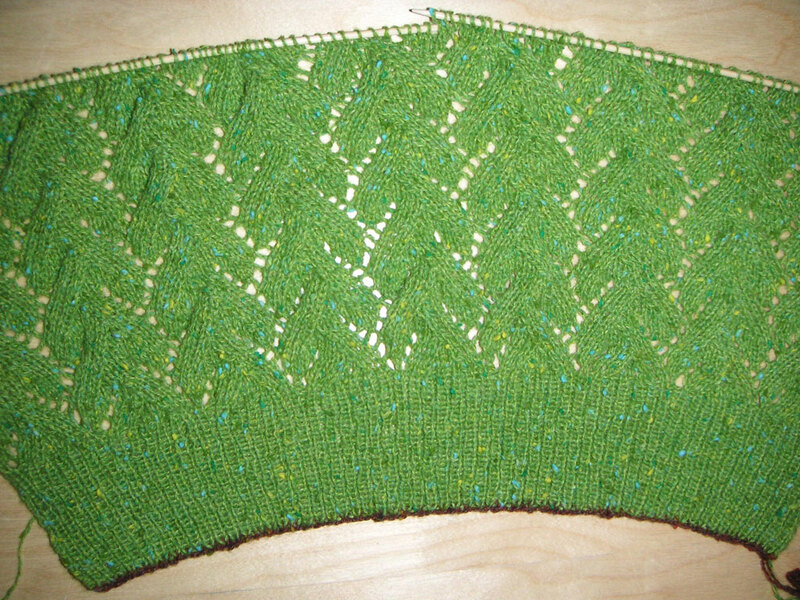 I hope that 2007 will turn out more finished knitting projects. But finishing things, especially lots of them, is not a goal in itself. I want to knit beautiful and useful things. Gifts and things I want to keep. My fist FO in 2007 is a gift. Well, sort of, the recipient bought the yarn himself. But I knitted of course. It's my first pair of gloves. It won't be my last, but I can admit that I was a bit fed up with them at the end. I probably won't knit another pair for a while. This project was aslo my first real fair isle project, and I'm rather satisfied with the result, but not entirely. Keeping tension is a tricky thing. But, they're good enough for me, and S says they're good enough for him, so I'll just leave it at that. The colours are great, though! I probably wouldn't have chosen them for myself, but now that I see them together like this, it seems that we couldn't have made a better choice. Since we have very few hours of proper daylight I haven't been able to take any decent photos. You'll just have to be satisfied with these blurry ones. And a few I took using flash. 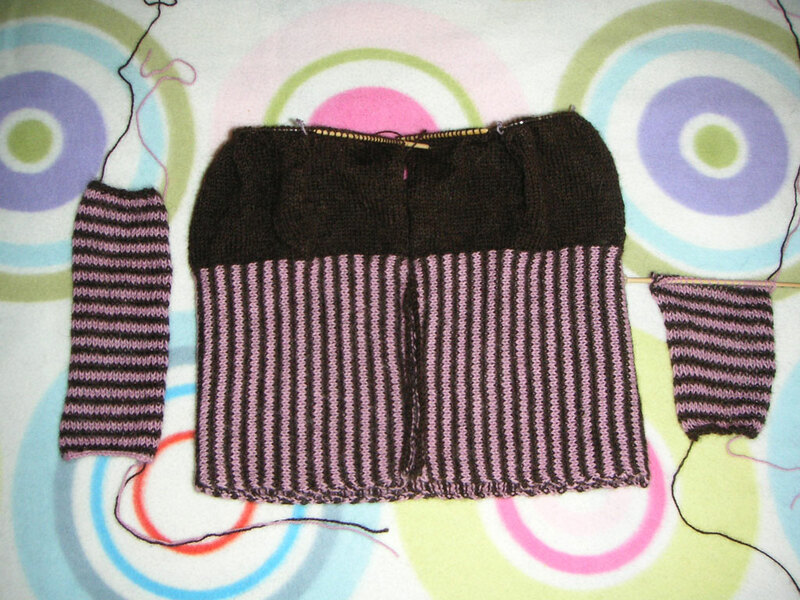 Modifications: Not as many colours as stated in the pattern. The book by Carol Rasmussen Noble is a real treasure of wonderful patterns and I can warmly recommend it to anyone who enjoyes knitting mittens and gloves. 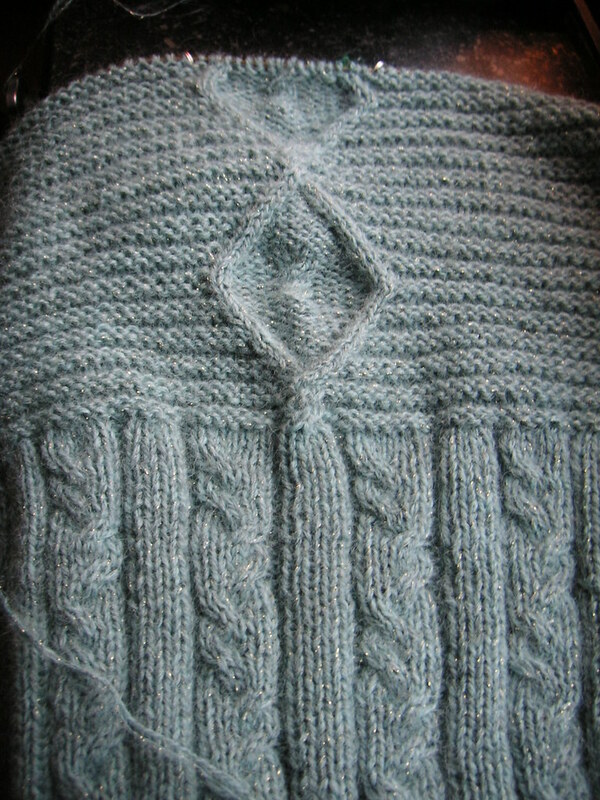 The patterns are all very beautiful, and I know I will knit several of them in the future. Grattis! Verkligen ursnygga! Missade tyv�rr Ginos ikv�ll. Har r�tt mycket p� jobbet och ville d�rf�r g� hem och vila mig ist�llet, men t�nkte att det kanske var sista g�ngen du kunde g� innan det var dags f�r dina kv�llskurser igen :-(. Hoppas du nu blivit av med din f�rkylning. 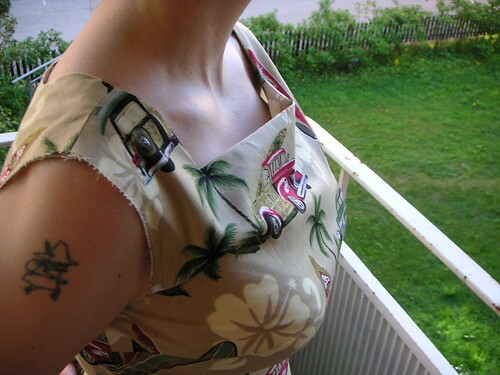 Tack f�r att du lade upp min tr�ja p� bloggen. Scarfen blev klar i helgen och jag �r faktiskt helt n�jd med den ocks�. 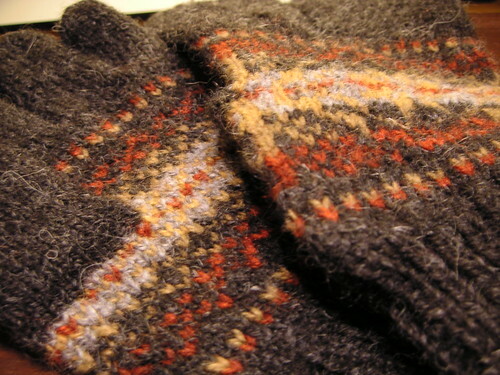 I am always impressed by those who knit fair isle! Mitts are great!